The 2018 Cadillac ATS offers sharp handling and plenty of fun behind the wheel, but falls short in the luxury department. It's hard to find a Cadillac Cimarron for sale, but here's one. 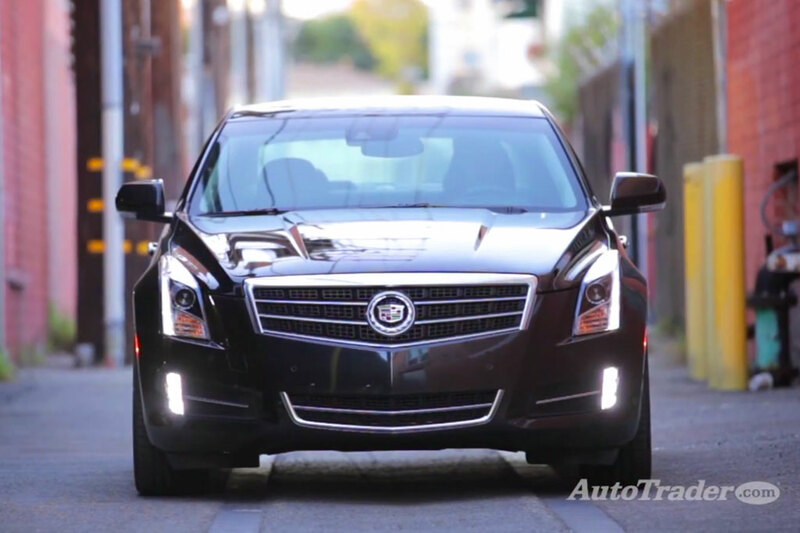 2016 Cadillac ATS vs. 2016 Cadillac CTS: What's the Difference? 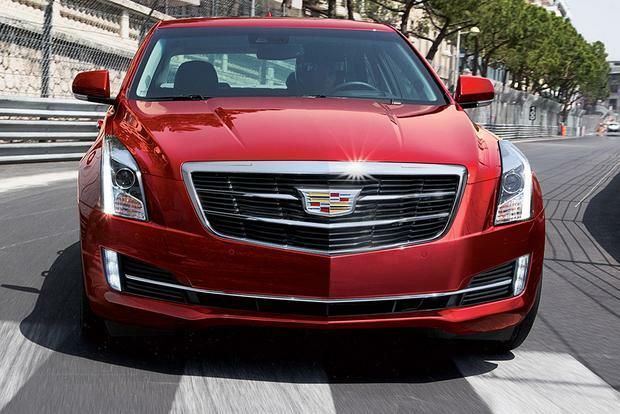 We're comparing Cadillac's popular ATS and CTS models to find out exactly what sets them apart. 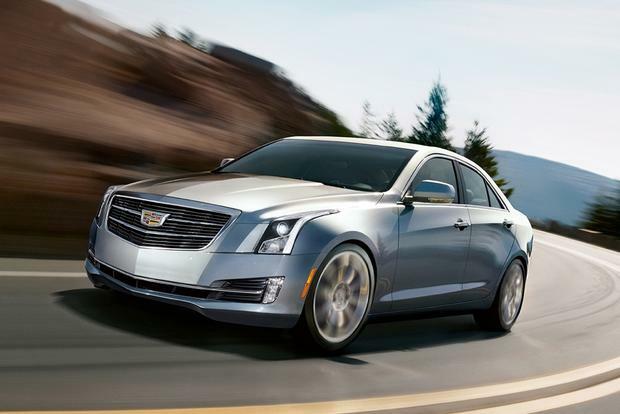 The 2014 Cadillac ATS sport sedan is America's best shot at dethroning the BMW 3 Series, and here are five reasons to believe in the Caddy. 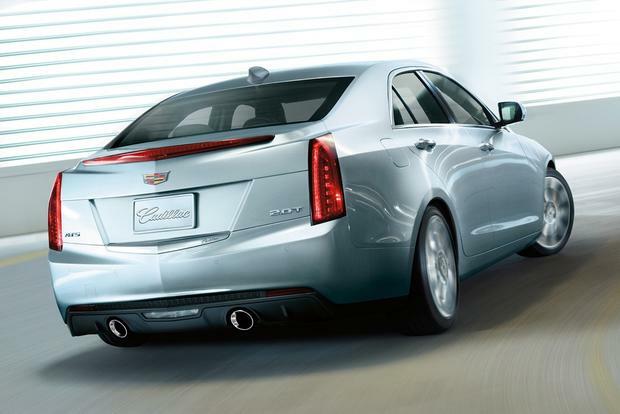 The 2015 Cadillac ATS sport sedan is Cadillac's attempt to flip the script in the entry-level luxury segment. As usual, the bogey is the BMW 3 Series. Unlike other automakers that have gone down this path, Cadillac has reason to believe it can unseat BMW's perennial champ. For one thing, the 3 Series has grown a bit soft with its latest redesign, so there's suddenly daylight at the sporty end of the spectrum. More importantly, the ATS is very, very good at what it does. First and foremost, the ATS is a true driver's car. Cadillac tuned the handling on Germany's famous Nurburgring circuit. Manufacturers throw the word Nurburgring around so freely these days that we take it with a grain of salt, but in the case of the ATS, it's definitely more than just a marketing exercise. This is an honest-to-goodness performance sedan that will give any rival 4-door a run for its money. It's the completeness of the ATS package that really wins us over. 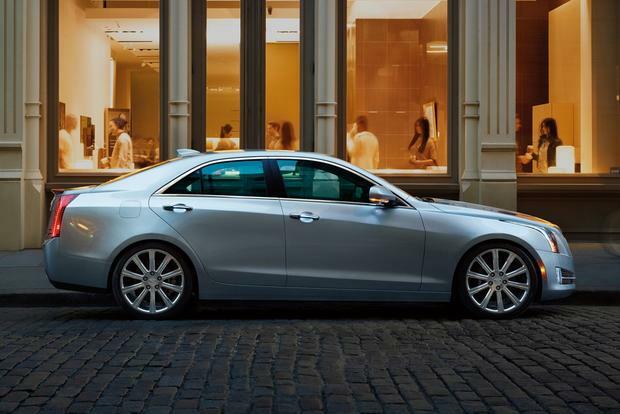 It's athletic, sure, but the ATS is also every bit as smooth and luxurious as a premium sedan should be. Technology galore awaits in the well-appointed cabin, and a choice of three engines means that there's something for just about everyone. Is it better than the 3 Series? We'll reserve judgment for now, but we suspect that the 2015 Cadillac ATS story will have a decidedly happy ending. Despite its recent arrival in the 2013 model year, the ATS offers two big changes for 2015. The first is new front-end styling, which carries Cadillac's all-new emblem. More importantly, the ATS boasts a new coupe body style for shoppers interested in an especially sporty take on the entry-level luxury game. The ATS starts with a 2.5-liter inline-4 rated at 202 horsepower and 191 lb-ft of torque. Rear-wheel drive and a 6-speed automatic transmission are mandatory. This configuration is rated at 22 miles per gallon in the city and 32 mpg on the highway. Drivers who step up to the ATS's midrange powertrain get a 2.0-liter turbocharged 4-cylinder that makes 272 hp and 260 lb-ft. The 2.0T is offered with rear- or all-wheel drive and with manual or automatic transmissions. With the automatic and rear-wheel drive, fuel economy is 21 mpg city/31 mpg hwy, while choosing all-wheel drive drops those numbers to 20 mpg city/30 mpg hwy. Pick the manual, and fuel economy is rated at 19 mpg city/30 mpg hwy. At the top end of the ATS powertrain range is a 3.6-liter V6, which produces a muscular 321 hp and 275 lb-ft of torque. Only offered with an automatic, that engine returns 19 mpg city/28 mpg hwy with rear-wheel drive or 18 mpg city/26 mpg hwy with all-wheel drive. The ATS is offered in four trim levels: a base-level model called only the ATS, followed by mid-level Luxury and Performance trims and a range-topping Premium model. The all-new ATS Coupe is offered in all four trim levels with equipment roughly mirroring that of the sedan, though the coupe doesn't offer the sedan's base-level 2.5-liter 4-cylinder engine. Base-level ATS models ($34,200 sedan; $39,000 coupe) offer automatic headlights, dual-zone automatic climate control, 17-inch alloy wheels, cruise control, Bluetooth, satellite radio, an iPod/USB interface and an auxiliary jack for MP3 players. Premium vinyl upholstery, which looks a lot like leather, is also included. When choosing a base ATS, drivers can pick between the 2.5-liter engine and the 2.0T. Step up to the ATS Luxury ($38,300 sedan; $42,900 coupe), and you get many more features ranging from a remote starter to keyless access, dual power front seats with driver memory, a rearview camera and leather upholstery. The trim also adds Cadillac's touchscreen CUE infotainment system to the center control stack. Like the base-level ATS, luxury models offer the choice between the 2.5-liter and the 2.0T. Next up is the ATS Performance ($43,700 sedan; $45,900 coupe), which is no longer available with the 2.5-liter engine. Instead, it adds the 3.6-liter V6 to its list of options, while the 2.0T is now standard. Other standard features include sport seats, xenon headlights, an upgraded sound system and a Driver Awareness package, the latter of which features forward-collision alert, automatic wipers, rear-side airbags, a lane-departure warning system and rear cross-traffic alert. Topping the ATS lineup is the Premium ($46,600 sedan; $48,100 coupe), which also comes with the 2.0T and offers the V6 as an option. Premium models include standard navigation, 18-in alloys and a full-color head-up display projected on the windshield. All ATS models feature a wide range of options. ATS units equipped with the 2.0T or V6 engines come standard with rear-wheel drive, but all-wheel drive is also available. The ATS also offers a Cold Weather package with heated seats, a heated steering wheel and a Driver Awareness package -- standard on Performance and Premium models -- that offers several safety features. The Cadillac ATS comes with stability control, 4-wheel anti-lock brakes with an available Brembo performance upgrade and eight standard airbags (front, front-side, front-knee, full-length side-curtain). Rear thorax airbags are optional. 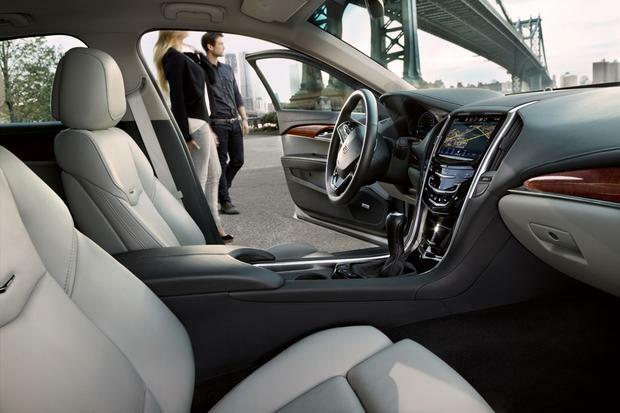 Depending on trim, the ATS also offers a laundry list of electronic driving aids, including radar-based forward-collision alert, automatic braking in case of driver negligence, lane-departure alert, a blind spot monitoring system and rear cross-traffic alert. In National Highway Traffic Safety Administration crash tests, the ATS earned a perfect 5-star overall rating. Better yet, it also earned five stars in all three tests: frontal, side and rollover. From behind the wheel, there's just not a bad apple in this barrel. Sure, the base engine isn't that exciting, but every ATS was designed from the ground up to handle like a sports car. Steering response is crisp and direct, while body control is remarkably precise. The manual-transmission ATS turbo with its standard limited-slip differential is a real hoot, especially with the optional magnetorheological dampers. But anyone can build a car that handles, right? The test of a true premium sport sedan or coupe is how it handles the daily grind. Happily, the ATS is absolutely in its element during normal driving, soaking up bumps with a substantial feel that even the 3 Series can't quite match. That's especially remarkable given that the ATS is actually a relatively lightweight car, with most models tipping the scales at between 3,300-3,500 pounds. BMW 3 and 4 Series -- The 3 Series still has a leg up on Cadillac in the powertrain department, and it's also offered as a wagon or a convertible. We think the two go toe-to-toe in most major areas. Lexus IS -- We considered recommending the Audi A4 instead, but we think the IS sedan's sporty mission is more in line with that of the ATS. Offered with a choice of two V6 engines, the rear-drive IS is similarly compact and sporty. Mercedes-Benz C-Class -- The C-Class sedan is all new for 2015 and is looking to regain some of its past glory. Unlike some baby Benzes from the past, this one looks and drives like a real Mercedes. We think that most ATS shoppers will be happiest with the turbocharged ATS; it's powerful, fuel efficient and available in numerous configurations. It's also cheaper than the V6. As for trim level, that's up to you. Our favorite is the Performance, especially with its standard Driver Awareness package, but it's hard to go wrong with any ATS trim.